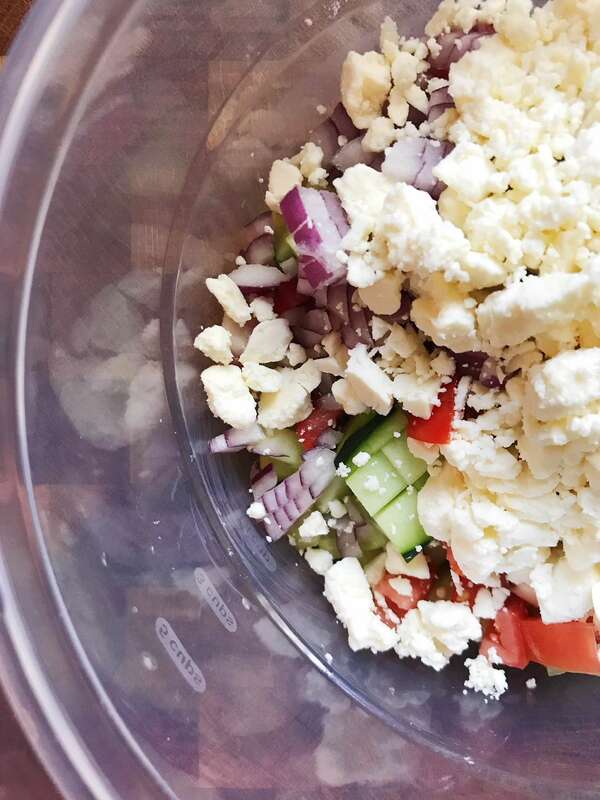 This recipe is everything I love about Greek salads (cucumbers, feta cheese, onions…) except in pasta form! The dressing for the salad is simple to put together, but if you’re really in a pinch for time, toss the ingredients with some Italian dressing instead. 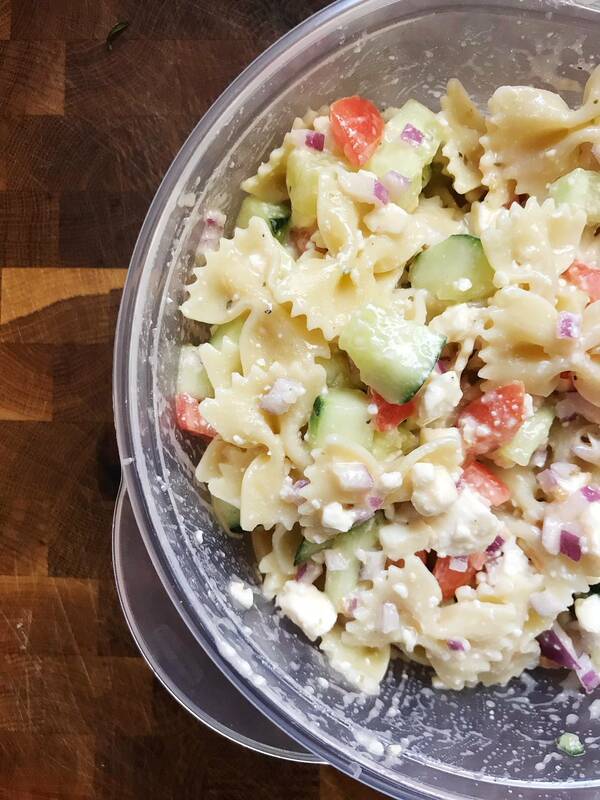 Add the tomato, cucumber, red onion, feta cheese, and pasta to a large bowl. Add the ingredients for the dressing in a small bowl and whisk until smooth. Pour the dressing over the vegetable and pasta mixture and toss to combine.